Held every year on the Saturday of AALL's Annual Meeting & Conference, the Conference of Newer Law Librarians (CONELL) welcomes newer AALL members by introducing them to the Association, leadership, and one another. 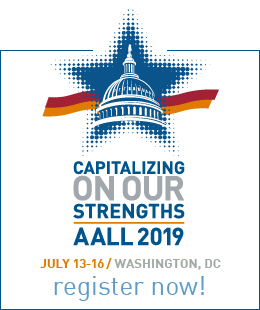 Attendees have the opportunity to talk with representatives from AALL's committees and special interest sections to learn firsthand how to get involved and maximize the benefits of Association membership. Attendees who are arriving on Friday, July 12, are invited to attend "Dutch treat dinners"—a great way to meet one another and members of the CONELL Committee. 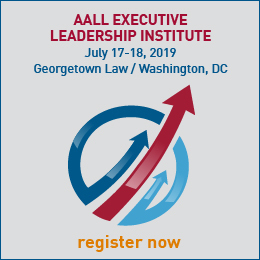 Saturday starts with a continental breakfast at 8:00 a.m., with the conference beginning promptly at 8:30 a.m. Attendees will meet the AALL Executive Board, participate in speed networking, and explore the AALL Marketplace to learn more about getting involved in member communities. Lunch is followed by a tour of DC and additional opportunities to network with colleagues. For questions about CONELL, contact a member of the Conference of Newer Law Librarians Committee. "CONELL was the first program I attended at the Annual Meeting and probably the program I have found most rewarding and vital to my career. I am still good friends with a number of people from the 2003 Seattle edition of CONELL. I also use many of the tips and skills I learned there on a regular basis. While I know the shortened Annual Meeting is packed with things to do, I think CONELL should be an essential program for every first-time attendee."